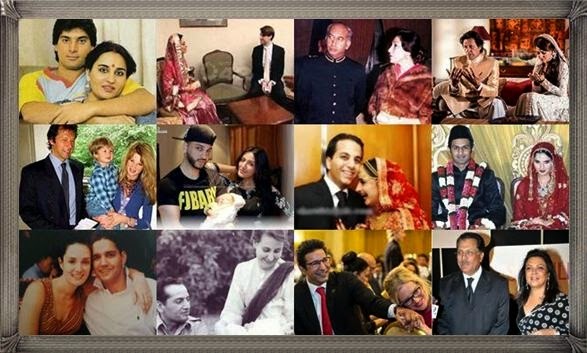 Here are some famous Pakistanis who married foreigners. These famous Pakistanis includes mostly Cricketers and Showbiz celebrities. However some poets, singers and politicians also got married with foreigners. So let’s have a look at these Pakistanis and their foreign love mates. Most Handsome Pakistani Cricketers ever! Reham Khan is a British Pakistani journalist. She was born to Dr. Nayyar Ramzan, a physician. She is an ethnic Pashtun hails from Mansehra, Khyber Pakhtunkhwa. Her parents moved to Libya in the late 1960s, where Reham was born in 1973. Reham has three kids from her first marriage. Cricketer and politician, PTI Chairman Imran Khan tied knot with Reham Khan in 2015. In 1995, Imran Khan married Jemima Goldsmith, daughter of a UK billionaire businessman. Jemima converted to Islam. The couple has two sons, Sulaiman Isa and Kasim. The couple got divorced in 2004. 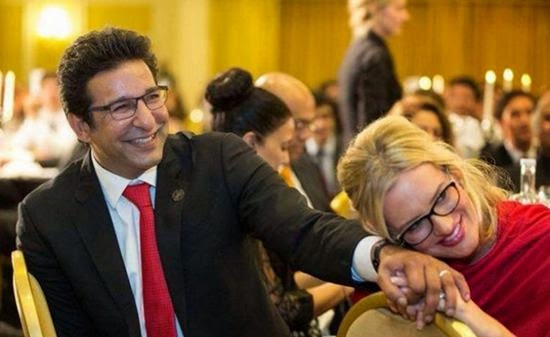 The famous Pakistani cricketer Wasim Akram married the second time with Shaniera Akram in 2013. She belongs to Melbourne, Australia. Another Pakistani legend cricketer Mohsin Khan married Indian actress Reena Roy. 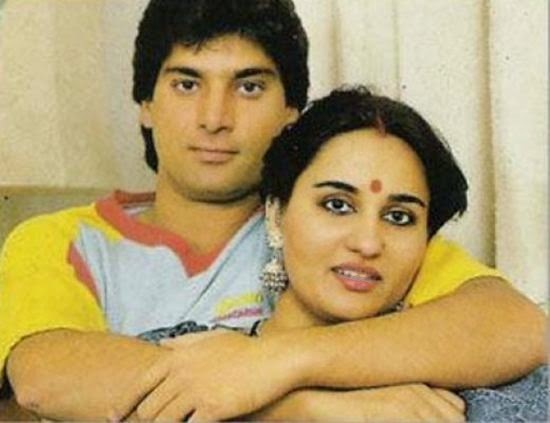 In 1983, at the height of her fame, Reena Roy decided to quit the film industry to marry Pakistani cricketer Mohsin Khan. The couple later divorced. This most famous couple also belongs to two different countries. 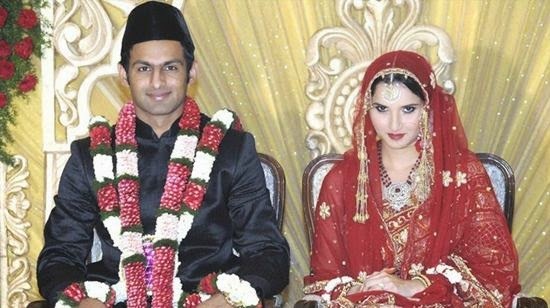 Shoaib is a Pakistani cricketer while Sania is an Indian tennis player. They married in 2010. 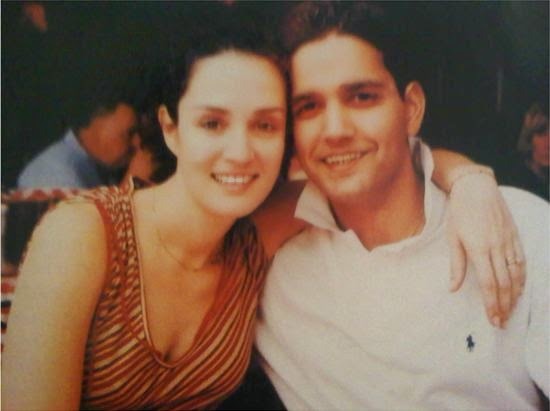 Sonya Jehan is a Pakistani actress of French descent, who appears in Indian films. The grand daughter of melody queen Noor Jehan, Sonia Jahan married to an Indian Banker Vivek Narain in 2012. The controversial and scandalous Pakistani actress and singer Mathira was born in Zimbave to an African father and Pakistani mother. Her family moved to Pakistan when she was 13. Mathira married to a rich guy of Dubai, Fathan Rizvi in 2012. In 2014 she gave birth to a son. Pakistani actress and host Noor was married to a dubai based Hindu man Vikram in early 2008. In April of that year, she moved back to Lahore and filed for divorce shortly afterwards. And now the couple has parted ways (Divorced). Zainab Aitzaz is the daughter of barrister and politician Aitzaz Ahsan. Zainab’s husband is a Norwegian guy. The Nikkah ceremony of Zainab Aitzaz and Even Johnson was held in Lahore. Zainab Aitzaz’s husband Even Johnson recently converted to Islam. The Nikkah ceremony was held according to the Islamic Shariah Law. 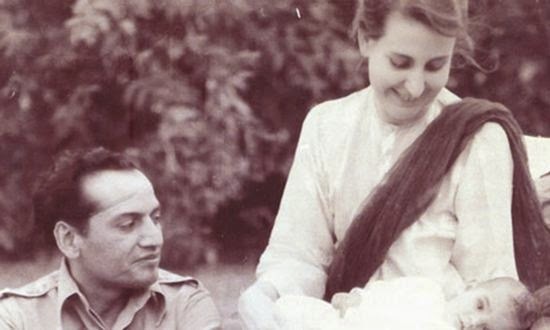 In 1941, Faiz became affectionate with Alys Faiz, a British national and a member of Communist Party of the United Kingdom, who was a student at the Government College University where Faiz taught poetry. The Nikahnama (marriage deed) between Alys George and Faiz Ahmed Faiz was solemnized by Sheikh Abdullah in Srinagar in 1941 at Pari Mahal. Zulfiqar Ali Bhutto married with Iranian-Kurdish Nusrat Ispahani (Begum Nusrat Bhutto), in Karachi on 8 September 1951. 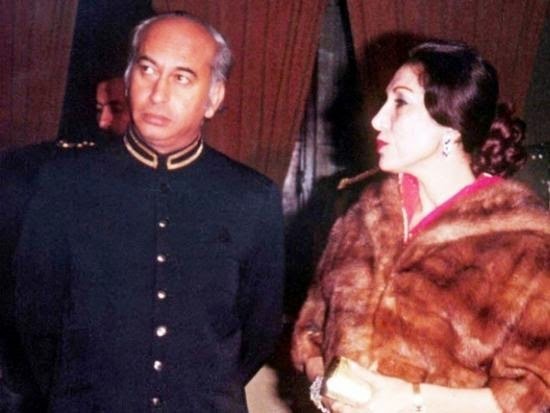 Benazir Bhutto, Murtaza Bhutto, Sanam Bhutto and Shahnawaz Bhutto are four children of the couple. 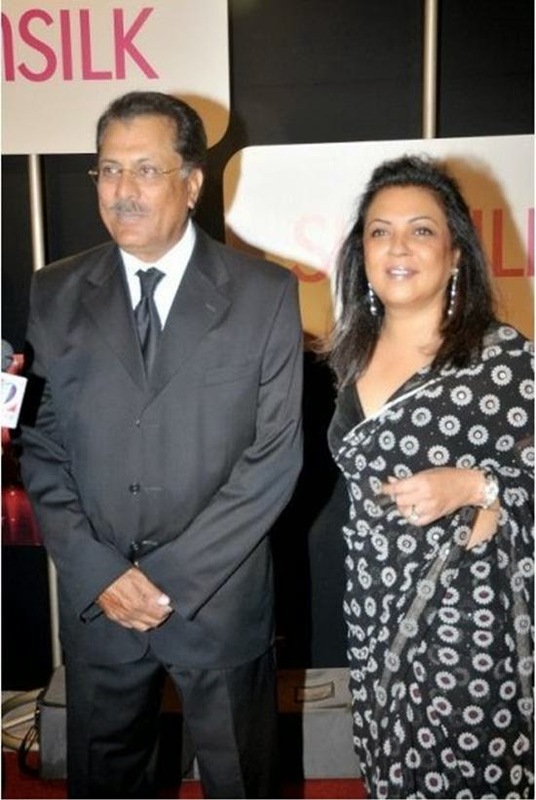 One of the finest batsmen from Pakistan, Zaheer Abbas met Rita Luthra in 1980s. Rita belongs to India. Rita used to study interior designing in United Kingdom and Zaheer used to play for English county Gloucestershire. They got married in 1988. After marriage, Rita is now known as Samina Abbas. Zaheer and Samina now live in Karachi, where the latter runs her interior designing business. So these are the few famous Pakistani people and celebrities who married foreigners. If you know about any other famous Pakistani who got married with a foreigner, you can mention it in comments section. Wow nice to know about Pakistan Celebrities. Nice and informative post.